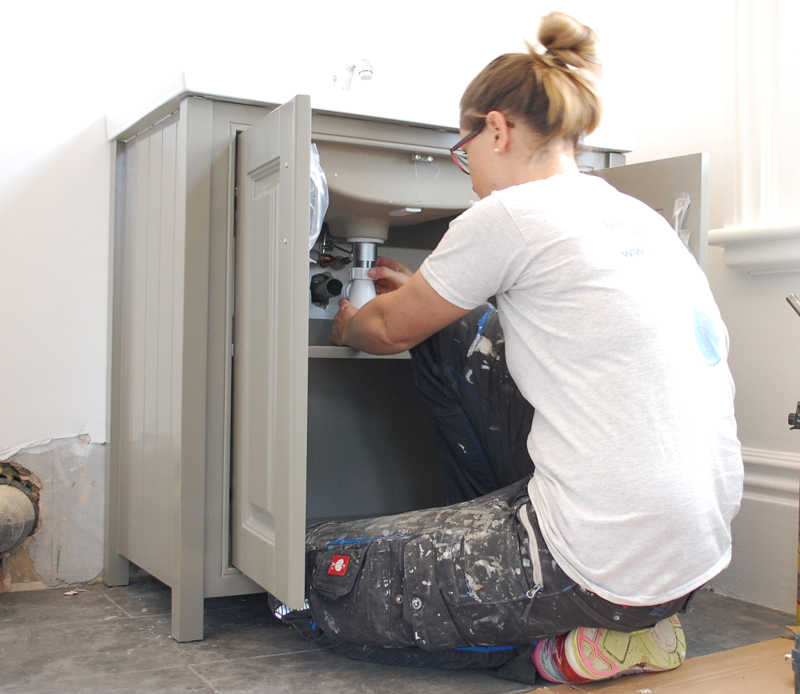 Becky Bates puts the new Bosch GDR Impact Driver through its paces. I’ve been using Bosch power tools on & off for 10 years now. I’ve always found them to be well made, solid & reliable pieces of kit. 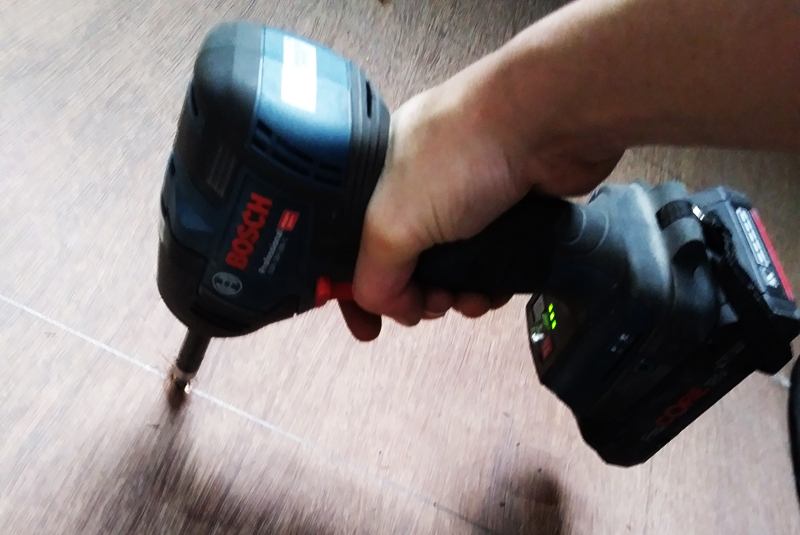 In recent years the GSB 18 Plus Cordless Drill has been an essential part of my day-to-day tool usage, so when the opportunity came up to test out the latest Bosch GDR impact driver, I jumped at the chance. As we all know, first impressions count, and at first glance it has that typical Bosch look of… I’m going to smash this job! In hand it feels solid, has a good weight to it and in no way feels fragile. Another plus is the short body, which is fantastic for gaining access between floor joists and stud work. A big part of my job is ripping out old bathrooms, so speed is of the essence when it comes to the job of removing old screws. Fortunately, the impact driver stood up to the test, and was able to reduce the time spent on the job, with its flexible speed and impact rate coming in handy. Midway seems to be a good guideline for screwing in plasterboard screws. Then, when it came to fitting 18mm of marine plywood to the floor, up went the speed/impact rate and it was like a hot knife through butter. Another button featured on the driver was the option to turn off the light, which helps to prolong the battery life that little bit longer. There is also a battery power indicator for each battery, which is very useful if you’re using the drill for long periods of time. We all know there’s nothing worse than a battery dying on you, and it’s always when you’re close to getting the job done! A final point to mention is that the drill comes in a Sortimo box, which is great. I really like this stacking system and hope to eventually organise the rest of my van with more. All in all, I love this Bosch GDR Impact Driver. As I said before, it does exactly what it says on the tin, and I would certainly recommend it to other installers.